FRED DE SAM LAZARO, correspondent: Turkey is predominantly Muslim, but residents of the southern Hatay region like to tout its rich, historic, religious mosaic. 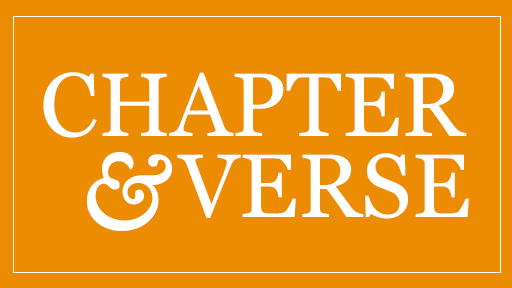 Christ’s apostles, Peter and Paul, spent time in Hatay’s main city, Antakya, the biblical Antioch, which is often called the cradle of Christianity. UNIDENTIFIED MAN 1: (through translator) Antakya is a city of tolerance. We have tolerance for every different culture and religion. UNIDENTIFIED MAN 2: (through translator) We have been living in Antakya with Arabs, with Sunnis, with Armenian people, with Kurdish people all together. DE SAM LAZARO: But beneath the appearance of business as usual, there’s deep anxiety here as events unfold a few miles across the border in Syria. In furniture shops and truck repair shops, business has actually been terrible since the Syrian conflict began. ALI ASKAR: (through translator) Of course, there was a friendship. There were organic ties between Antakya and Syria. People were coming and going between the two countries. DE SAM LAZARO: The Syrians used to come as traders and shoppers. Now they come as refugees, and there’s a new fear of sectarian or inter-religious conflict. The refugees—some 100,000 have arrived in southern Turkey—are predominantly opponents of the Assad regime in Syria. In Hatay, that’s made for a guarded welcome. 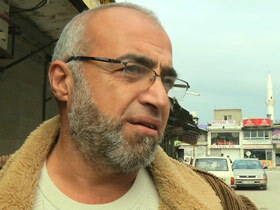 (to Mohammad Manzalgi): Do you think many people in Antakya are sympathetic to the Assad regime? MOHAMMAD MANZALGI: Yes, only the Alawi, yes, yes, sure, sure. Absolutely. DE SAM LAZARO: Mohammad Manzalgi, a Sunni Syrian, said he’s tried without success to rent an apartment in Antakya as he attempts to resettle family members fleeing from Syria. MANZALGI: The majority here in this town are from Alawi, and when they hear that you are from Syria—or you are Sunni—they tell you directly no, we don’t want to rent to you, and they meet you with anger. DE SAM LAZARO: He’s convinced this anger is rooted in sympathy for Syrian President Bashar Assad who is Alawite—an offshoot of Shia Islam. Perhaps fifty percent of Hatay’s residents are Alawite. Many Turkish Alawites say their concerns are driven less by sympathy for the Assad regime than a fear of what might replace it. SERIT LIF (Newspaper Columnist): (through translator) I am an Alawite, but I do not approve of what the Assad regime is doing. I believe in the rule of law and democracy, but I don’t think this is the right approach to achieving it. DE SAM LAZARO: He and many others fear that religious extremists have infiltrated the Syrian opposition force. ALI YERAL (Alawite Association): (through translator) One group is chanting things like, “Christians should go to Beirut, and Alawites should go to cemeteries.” This group consists of Salafis, Al Qaeda members, and if these terrorists are able to change the Assad regime, then there will be a huge massacre against the Alawite people. DE SAM LAZARO: Experts agree the Syrian conflict has drawn Islamic radicals, though they aren’t certain of their number and influence in the opposition forces. But the Alawite fears are well-founded in their history. Alawites typically don’t fast during Ramadan and prayers are conducted privately or in small groups, not in mosques. They’ve not always been recognized or accepted as Muslim, especially among the Sunni majority, and at times during the Ottoman period they were put to death as infidels. Alawites have long lived in this region that straddles the borders of modern-day Turkey and Syria, minorities in both nations. But their imprint in Syria has been huge since the 1960s after the rise of a military officer named Hafez al Assad. He spawned an Alawite military and security elite that his son, the current leader, inherited. Even though both Assads discourage sectarianism, Syria’s conflict is increasingly seen in such terms: an Alawite-dominated military against a majority Sunni opposition. Turkey’s government has made no secret of its support of the opposition, offering not just refuge to civilians, but apparently in-and-out privileges to opposition fighters. 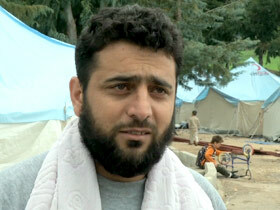 MOHAMMAD RAJBO (Free Syrian Army Fighter): (through translator) People on the Turkish side received us very well. They really helped us. I go to Syria for 15 to 20 days to fight, come here for 5 days at a time to rest. DE SAM LAZARO: The close proximity of fighters and others who may have scores to settle has brought the Syrian conflict uncomfortably close for many in Hatay. ALATTIN TAS: (through translator) Both Sunni and Alawi people have relatives or roots in Syria that have remained since the Ottoman period. So we know that any uprising, any tension in Syria is bound to have an impact here. DE SAM LAZARO: And some of the conflict and antagonisms have spilled over onto the Turkish side. SEMSETTIN GUNAY: (through translator) When Syrian refugees started to come here in greater numbers, we saw some of those conflicts between families spilling over on this side of the border, too. 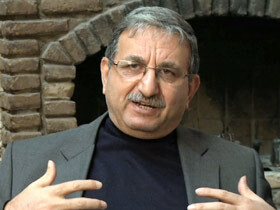 DE SAM LAZARO: Semsettin Gunay, who is Sunni, and Alattin Tas, an Alawite, helped start a multi-sectarian civic group. They’ve used media messages to plead for calm to preserve the tolerance this community has enjoyed for decades. And they’ve worked with government officials to disperse refugees to other cities away from Alawite communities or to confine them to camps to keep the conflict from escalating here. GUNAY: (through translator) Alawites in Hatay have a real fear, especially as the number of Syrians increased, with their different clothes and religious outlook, and there were rumors of assaults. We have succeeded in making these people less visible. DE SAM LAZARO: They say they’re proud of Turkey’s humanitarian role and want to keep the country’s door open to refugees of all religions, but not their political issues. The vast majority of Syrians who’ve sought refuge in Turkey have been Sunni Muslims. They hope for the imminent fall of the Assad regime. They hope to soon return to their country. The question for Turks, yet unanswered, is whether there’ll be a new wave of refugees, this time from the Alawite and other minority communities in Syria. For Religion & Ethics NewsWeekly, this is Fred de Sam Lazaro along the Turkish-Syrian border.